My paper looks at two phenomena of the second half of the twentieth century: firstly medieval-influenced fantasy novels and films involving otherworlds, in which the singing voice often has a significant role, and a resurgence of scholarly and popular interest in medieval song. Looking at these phenomena together suggests a hypothesis: that some listeners, like the readers and viewers of fantasy, are seeking, in these musical re-inventions of the Middle Ages, a voice for their dreams of a lost world, at once more real yet less mundane than our own. My sense is that this search is ambiguous. It has the structure of desire in the psychoanalytic sense, like the ‘joy’ described by C. S. Lewis (of Narnia fame) in his autobiography: ‘an unsatisfied desire which is itself more desirable than any other satisfaction’ (Surprised by Joy 23-4). The paper is my first attempt to rough out my next piece of research and get some feedback from the Round Table. It’s a version of the ‘aims and background’ section of my APD application. My plan is to examine recordings of medieval vocal music and the responses of their listeners in tandem with the ‘lost worlds’ of fantasy fiction and film. I want then to stage an encounter between these resources and Lacanian notions of the voice: ‘this object of desire that the voice is in Lacanian psychoanalytic theory’, as Jacques-Alain Miller calls it (‘Jacques Lacan and the Voice’ 104). No reading required. In early 1540 Lord Lisle, Deputy of Calais, dismissed John Husee from his service after nearly seven years of faithful service. Throughout those years Husee had acted as Lisle's court agent, secretary, gentleman-servant and confidant. His letters reveal that he repeatedly proclaimed his duty to his master and had gained the honoured position of being publicly recognised as Lisle's “own man”. While Lisle has been largely recognised as a competent administrator, however, Husee's letters also reveal an increasing anxiety and growing melancholy in Lisle's behaviour during his post as the King's Deputy of Calais. Turning to Husee for confession and counsel, Lisle exposed his innermost feelings of inadequacy and lost hope about his professional position. This paper explores the emotional turmoil experienced by Lisle and recorded by Husee in his letters of consolation. In doing so, it suggests that Lisle's feelings of melancholia and inadequacy in his political post gradually turned to focus on Husee and that, in doing so, the precarious power relationship between these two men was brought to a head. By investing much of his anxiety in his male servant, it argues that Lisle then had to reassert his own status, not only by accusing Husee of disloyalty and dissimulation, but by further emasculating him by substituting his wife in the role of court agent. In focussing on these growing problems of perception and power, this paper reveals some of the ways in which masculinity and gender contributed to the unstable nature of personal service. Scottish Dalriada: early Christian reality or modern construct? Every scholar of the early medieval British Isles knows where Scottish Dalriada was. It was the kingdom of Gaelic-speakers to the west of the Spine of Britain in Scotland, the part of Scotland that was not Pictish. This is partially true, but where were the borders of Scottish Dalriada? In what sense could it be called a kingdom? Were all its people Gaelic-speakers? This paper takes a fresh look at the long-accepted term 'Dalriada', arguing that its application to the part of Scotland west of the Spine of Britain gives a misleading impression of simplicity and cohesion. The Dal Riata were only one of the many 'tribes' of northern and western Ireland who claimed kinship and political unity with 'tribes' in western Scotland. Dalriada's most famous figure, St Columba, was not himself of the Dal Riata, but of the Ui Neill. And this paper argues that Columba and his follows may have been in vehement and possibly violent opposition to other ecclesiastical groups in western Scotland. Thus the notion of Scottish Dalriada as some kind of definable entity can perhaps be replaced by an alternative model wherein there is no assumption of political or religious cohesion within the region. Court rolls for the Suffolk manor of Walsham-le-Willows survive for almost the entire fourteenth century. A rich source in themselves for their account of daily life on a medieval manor, I suggest that to approach these records within the contexts of gender and spatial boundaries is revealing of relationships of power in the rural medieval community. Set within the frameworks of 'creating boundaries', 'maintaining boundaries' and 'contesting boundaries', this paper seeks to analyse the intersection of gender and space in the medieval rural community, and illustrate the ways in which women used space, whether consciously or not, to challenge the very structure of their society. This paper suggests that, rather than rely on one source only, when court roll entries are combined with other extant sources, for instance, coroner's inquests and contemporary literature, with questions of gender and space in mind, particular aspects of medieval women's daily lives are brought to light. This paper is drawn from my thesis, which is a study of women and space in fourteenth-century rural England and, in particular, the chapter entitled 'Between, below and beyond: Spatial Boundaries.' I am seeking feedback as to how theories of gender and space can be applied to legal records and contemporary literature in illuminating women's lives in fourteenth-century rural England. The Conquest of England in 1066 resulted in an influx of people of varying social “classes” from Normandy to settle on conquered lands in England . Much has been written about the individuals and the families who shaped the development of what we know as Norman England but most of these people came from the highest levels in society. As early as the 12th century, attention was drawn to a “middling” group - described by Orderic Vitalis as “men raised from dust”. Some excellent studies have been published on the most successful of these people. The careers of the less visibly successful are well represented in official documents but the research done on many of them during the 19th century was published in what are now rather obscure journals. This paper is based on a decade of research on a number of kin groups from peasant and minor “gentry” families who used the surname Ruffus or Rous and who flourished during the 12th and 13th centuries. The reconstruction of their family structures and careers demonstrates variable success and sometimes woeful failure. The current research seeks to identify some of the factors that may have determined success, such as patronage from the nobility and, rather flagrantly, from within the kinship circle, the advantages of participation within a socially cohesive county group, and the capacity to migrate from Normandy and within England to improve career prospects. Evidence from these groups for the earlier development of an English gentry than is generally acknowledged is also examined. Our August meeting will be a discussion session, based on a chapter from Michelle Warren's book (see below). Michelle will be a visiting scholar in the English Department in November this year, so this will be a preliminary opportunity to engage with her work. Reading: Michelle R. Warren, History on the Edge: Excalibur and the Borders of Britain, 1100-1300 (Minneapolis: University of Minnesota Press, 2000), Chapter 6 " En la marche de Gaule: Messages from the Edge of France" pp. 171-221, notes 262-264. This book is available for borrowing at the Baillieu at 941.02072 WARR, and there are three copies of the reading in the Round Table pigeonhole for you to borrow to xerox. Dr Margaret Manion of the Academic Centre, St Mary's College and Newman College, will be giving a tour of the manuscript collection and leading a discussion on this wonderful resource. During the Middle Ages, the stories of Homer regarding the Trojan War were largely rejected by most for he placed gods among mortals and wrote after the fact. Rather than believing the Ancient Greek classics the Iliad and the Odyssey, many people turned towards Dares of Phrygia and Dictys of Crete, for both writers alleged to be eyewitnesses of the actual event. To substantiate their claim, these accounts provided details that only an actual observer could supply. Within Dares' account for an example, the author included a catalogue of the important figures who took part in the events surrounding the war. With each name, he supplied a brief physical description, thus giving the reader an opportunity to imagine within his/her mind a portrayal of this legendary figure. While these Trojan War epics date back respectively to the fourth and sixth century of the Common Era, their accounts lived on for centuries afterward with later writers translating and embellishing the initial material. I plan to examine the evolution of Polyxena's portrait and its progression from physical attributes towards one filled with abstractions while also observing the changing portrait's correlation to her final speech given right before Pyrrhus sacrifices her to appease his father, Achilles. Through this process, I intend to draw conclusions based upon the ideals of a gender-constructed femininity the authors appear to have created in their modification to the portrayal of this Trojan princess. This paper will address the issues of futurity, memory and their interactions with textual and physical space in Chaucer’s Troilus and Criseyde. Through a focus on the character Criseyde, I will be arguing that Chaucer utilises the gender and cosmological discourses available to him to construct a new understanding of the future that is dependent upon his work as a textual practitioner. Simultaneously delving back to the history of Troy whilst projecting his work forwards in order to assure its canonical and critical reception, I believe that Chaucer uses the figure of Criseyde as a textual gateway through which to create and maintain his own authorial status. His particular focus on the body of Criseyde will be central to my discussion, as I will argue that Chaucer manipulates gendered understandings of femininity as a kind of ‘unformed matter’ whilst simultaneously using the feminine and its generational capacities to re-form the “matere” of Troy. Criseyde’s body thus functions as the pivot for both temporal and textual construction, an essential part of Chaucer’s literary endeavour yet one continually repudiated by him. 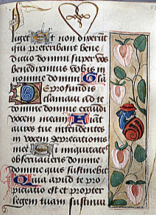 Although Criseyde’s physical presence is ultimately abolished from the text, as history has shown she has been almost re-corporealised through centuries of misogynistic and now feminist criticism, perhaps enabling a consideration of exactly whose textual authority has created our understanding of the poem: Chaucer’s or his character’s. A small group of Round Tablers, led by Pamela O'Neill, will present a dramatised and abridged reading of the Shearmen and Tailors' Play from the Coventry Cycle. The version we are working from is in: English Mystery Plays: A Selection edited with an introduction and notes by Peter Happe (Penguin, 1985) Baillieu 822.051602 ENGL. There is a copy in the Round Table pigeonhole that people can photocopy if they wish. We will be meeting in the fifth floor function room in the John Medley building. In keeping with the spirit of the occasion, there will be light refreshments of a seasonal and medieval character. We also invite Round Tablers to wear an accessory or garment which they consider embodies the notion of the medieval (purely optional of course!). After this entertainment and ensuing discussion, we will head across to Carlton for our Christmas dinner, aiming to arrive at the restaurant by 7:30. The venue is the Shakahari vegetarian restaurant, 201 Faraday St (fully licensed). The restaurant would like to know final numbers a week in advance, ie 27 November, so please confirm with Kathy Troup at ktroup@unimelb.edu.au by that date (or earlier if possible).